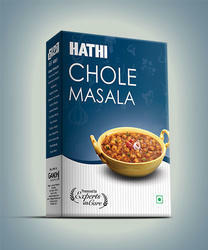 We are among the reputed organizations, deeply engaged in offering an optimum quality range of Chhole Masala. We present Blended Spices with lovely aroma and flavors such as Channa Masala. Sanjeev Kapoor's - "Chole Masala"
We are engaged in offering a wide rage of Chole Masala.